We have had a website for several years but we needed to upgrade it. Ennovative Solutions, Inc. met with us to discuss our needs and made suggestions that we hadn’t considered. They have made a tremendous improvement to our site. They were extremely helpful and professional and have kept in close contact to make sure that all of our needs have been met. Sandra F. Fletcher, Vice-President/ U.S. Bolt Manufacturing, Inc.
Ennovative Solutions, Inc. is a very professional team. I was presented with various options and each design looked great! It was a collaborative effort and the team kept in close contact with me for changes and feedback. They were able to convey my vision and create a trendy fashion website, which I absolutely love! Gabriel Asongwe, Partner, Beldevs, LLC. Ennovative Solutions, Inc. took our vision for a website and made it a reality! It turned out better than imagined and continues to grow. Their commitment to service makes it easy for us to walk away and know our website and our business are in good hands! When searching for a firm to redevelop our website, we were overwhelmed by the business process Ennovative Solutions, Inc presented us. Their step by step interactive process is what differentiated them from several other firms that we were interviewing. From start to finish, Ennovative Solutions, Inc. was very persistent and responsive to our needs to develop the Grade A quality website we were looking for. Not only does their work speak for itself, but their initiative to build a long-term relationship and deliver a product that reflects our vision clearly is priceless. We at Letourneau Interests, Inc. highly recommend Ennovative Solutions, Inc. to any company looking for a “sky’s the limit” attitude with quality assurance. From the moment I walked into the office and shook hands with Anthony, then Marinus, I knew my experience at Ennovative Solutions, Inc. would be heads and shoulders above all other web site designers I had encountered before. The team was refreshingly, well-prepared for my first meeting, showing me samples of website layouts and a marketing strategy portraying the attention to detail and program I was after. I knew instantly my voice would be heard and their work on my project would indeed be a collaboration of my ideas and their expertise. I continue to be thrilled with the final outcome of their hard work on Interiyours and know that they are in my corner for anything new I might dream up. Our company website had not been upgraded since it was launched in the late 1990’s. We selected Ennovative Solutions based on their enthusiasm and eagerness to design a site that would showcase Admiral’s separate rental divisions in an easy-to-navigate format. Anthony and his team worked with us, listened to us and learned as much as they could about our business. The result is a great looking website that has already increased traffic and inquiries at least 30% over our old site. Selecting the perfect website design firm is undoubtedly one of the most critical decisions any company interested in the future growth of their business makes. In today’s marketplace, a company website, is no longer just an option, but a necessary tool when pursuing potential clients. My goal was to find a firm who had the experience, the knowledge and the vision to take my twenty-one year old interior design firm and produce a professional website presentation that would clearly express our versatility, creativity and talents in a captivating manner, encouraging the user to go through every page of our site instead of the typical quick glimpse. After interviewing several website design firms, we met with Ennovative Solutions, Inc. and were blown away in a matter of minutes! It was instantly apparent that their whole team shared our strong belief that building relationships is the foundation for the success of any company. Their approach was to learn all they could about our firm, our philosophy and what we felt made us stand out above all the rest. First and foremost, they wanted to understand what our goals were for establishing a website and for the future of our company. Their enthusiasm was contagious. Once we brought them on board, we had many extensive in-depth team conferences, which further established Ennovative Solutions, Inc. as the website design firm extraordinaire. Their desire to understand every aspect of our business went above and beyond my initial goals in what I wanted to achieve for our website.  We highly recommend Ennovative Solutions, Inc. without reservation. They created the perfect “e-story” for our firm. AKW Interior Designs Unlimited, Inc.
Van Clark, President, LogNet Worldwide, Inc.
Henderson Smith, Owner Benefits Design & Worksite Wellness, L.L.C. “During our initial meeting with Ennovative I was extremely impressed with Mr. Atanga and his team. They presented out of the box solutions, went above and beyond to make sure that our business processes were significantly improved. We are very excited and impressed with the quality of their work. They accommodated our business needs as we were moving offices, making sure their work was done without interrupting our business flow. Their team listened to our needs and kept us informed through every stage of the project, by constantly communicating and addressing our needs as we gave them feedback. We are extremely satisfied with our new corporate brand. Our stationery is exemplary and our website is truly amazing. We are pleased to have used Ennovative and we shall definitely lean to their expertise and creativity for all our future marketing needs. Joanna Ogilvie, President, Optimum Source.